The Siberian pine may be rightfully considered our national tree, for it grows naturally almost exclusively in our country -- in the Urals, Siberia, Altai Krai (only 1% of the total area of pine forests is found on the territory of the People's Republic of Mongolia). The pine is the glory and pride of our forests. It is especially beautiful when it is blossoming, when the crimson-coloured male flowerhead shines brightly on the background of the dark green branches. Vladimir Chivilikhin had good reason to write that the pine would be worth growing in our gardens and parks solely to see such lushly peaceful beauty on the thick green branches once a year. And they are grown: in Leningrad alone more than 20 thousand saplings have been recently planted, and outside Leningrad, in suburban forests, another 40 thousand. And this is only in the environs of Leningrad! The Siberian pine (also known as the Siberian cedar) possesses enormous hardiness and is found far to the north. Wonderfully fruitful pine trees planted by humans may be found in Arkhangelsk and Murmansk Oblasts, on Valaam Island in Lake Ladoga, and on the Solovetsky Islands, located in the White Sea. The pine is even found in the Arctic Circle, and grows in the permafrost. 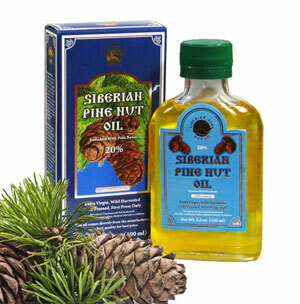 Pine stands improve the quality of the air, give it curative powers. 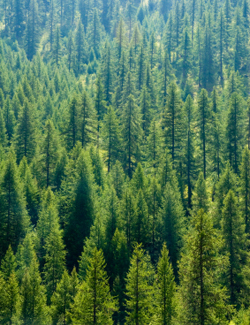 The essential oils contained in pine needles, which provide it with a refined aroma, possess a bactericidal effect -- the air in pine forests is practically germ-free. The antimicrobial properties of pine forests make this species very valuable for planting in resort areas, in city gardens and parks, especially because the Siberian pine is more resistant than other conifers to smoke and other pollutants that enter a city's air. Nevertheless, the main value of the Siberian pine are its nuts. Pine nuts collected in the environs of Leningrad (and, as an analysis has demonstrated, they are in no way inferior to those from Siberia) contain 61% oil, 20% proteins, 12% carbohydrates. In Russia, as far back as the time of Ivan the Terrible, pine nuts were an object of export. And in 1786, the Academician P. S. Pallas wrote, "In Switzerland, pine nuts are used in pharmacies; they are used to make a milk, which is prescribed for diseases involving the chest.... Because of their penetrating, delicate, somewhat balsamic oil, they are better than almonds, which is why it is maintained that they are used with benefit by people with consumption...."
For a very long time in Siberia and in the Urals, from the kernels of pine nuts was extracted an oil that possesses high-quality taste and nutritional properties, is easily assimilated by the body, and is rich in vitamins and minerals. It often surpasses the best types of olive oil. Siberians also prepare a vegetable-based cream from pine nuts -- its fat content exceeds dairy cream by twofold. The value of pine nut oil is well known not only by chefs, but also by artists: many famous masters have used it to dissolve their paints. Pine nuts contain a high quantity of vitamins, and in first place is vitamin E (tocopherol, which translated from the Greek means "bearing offspring"). In years of abundant harvests of pine nuts, it is no wonder that the fertility of sables and squirrels increases significantly. The nuts also contain vitamin A, the group B vitamin complex, vitamin D, and trace elements essential for the human body: manganese, cobalt, zinc, and copper. There is data showing that the nuts bring relief in high blood pressure and atherosclerosis. Even the shell of the nuts is also used in folk medicine: an infusion made from it is applied for hemorrhoids and salt deposits. Also well known are the medicinal properties of pine needles, rich in ascorbic acid -- vitamin C -- potassium, and trace elements. Of great value is the resin of the pine, known in Russian as zhivitsa (Cedar Resin). It contains about 30% turpentine, which is used as a disinfectant and as the raw material for the production of camphor. Inhabitants of Siberia and the Urals have long used this resin to treat purulent wounds, boils, cuts, and burns. It has now been determined that pine resin does in fact possess bactericidal properties. During the Great Patriotic War, it was successfully used in military hospitals to treat the wounded: tampons soaked with pine turpentine obtained from the resin protected wounds against infection and stopped gangrene. Pine resin is also valuable because, unlike the resin of the common pine, it does not crystallize for a long time, and does not lose its bactericidal properties. It can be used to obtain immersion oil, applied for one of the special methods of microscopy, immersion microscopy, which makes it possible to determine the refractive index of the smallest particles of a substance. The wood of the pine is the only raw material in our country from which wooden pencils are manufactured. Having acquired this raw material, our industry has completely freed itself from importing the wood of the Virginian juniper from America. Pine wood also possesses bactericidal properties. In wardrobes made of pine there are no clothes-moths, while bees willingly settle in pine hives. Thanks to its good resonating properties, pine finds wide application in the production of musical instruments. Pine forests are also rich in other useful plants. In addition to cowberries, bilberries, raspberries, and dog rose, such medicinal plants as Rhodiola rosea (Golden Root) and Leuzea carthamoides (Maral Root) are also widespread. Grow a Siberian pine -- with its beauty and all kinds of medicinal properties, it will rejoice not only you, but also your grandchildren and great-grandchildren.